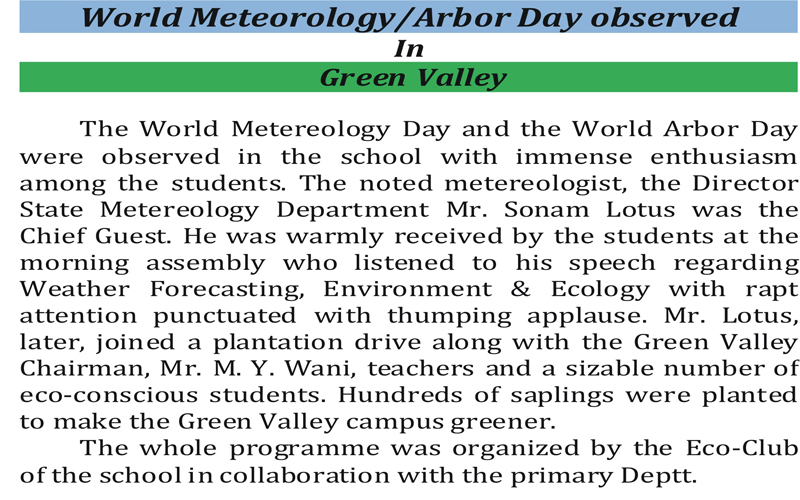 World Metereology/Arbor Day observed in Green Valley. 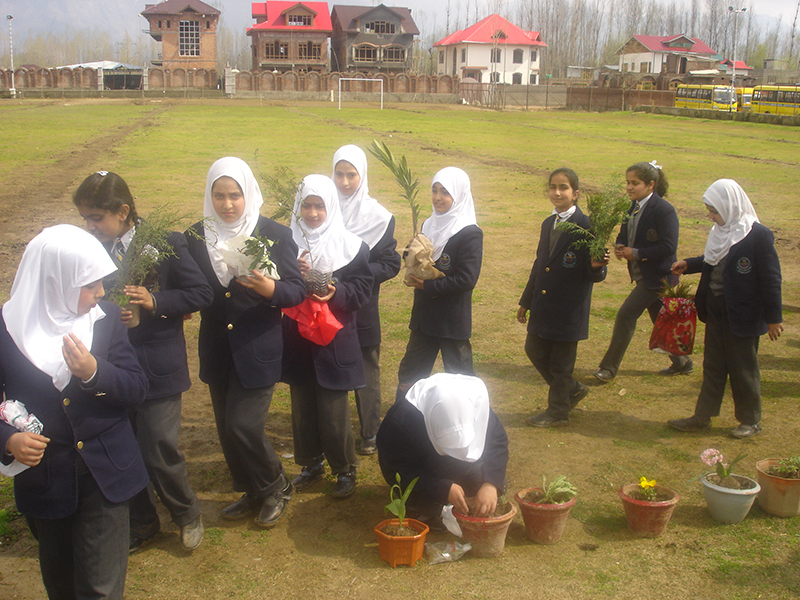 The World Metereology Day and the World Arbor Day were observed in the school with immense enthusiasm among the students. 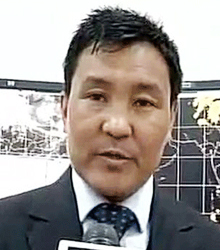 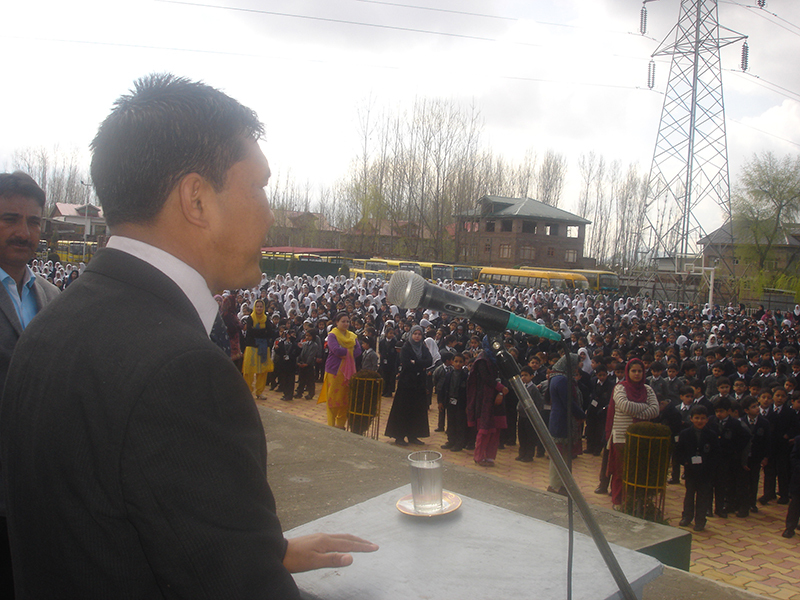 The noted metereologist, the Director State Metereology Department Mr. Sonam Lotus was the Chief Guest. 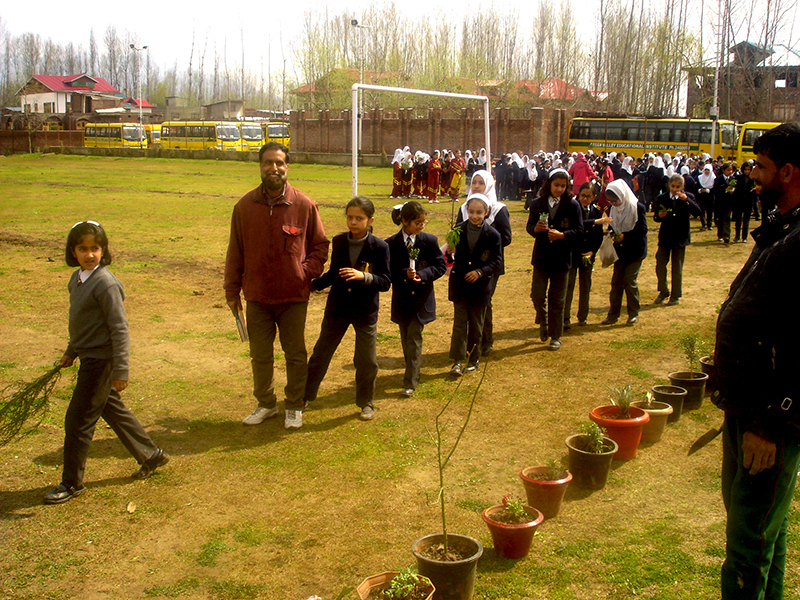 He was warmly received by the students at the morning assembly who listened to his speech regarding Weather Forecasting, Environment & Ecology with rapt attention punctuated with thumping applause. 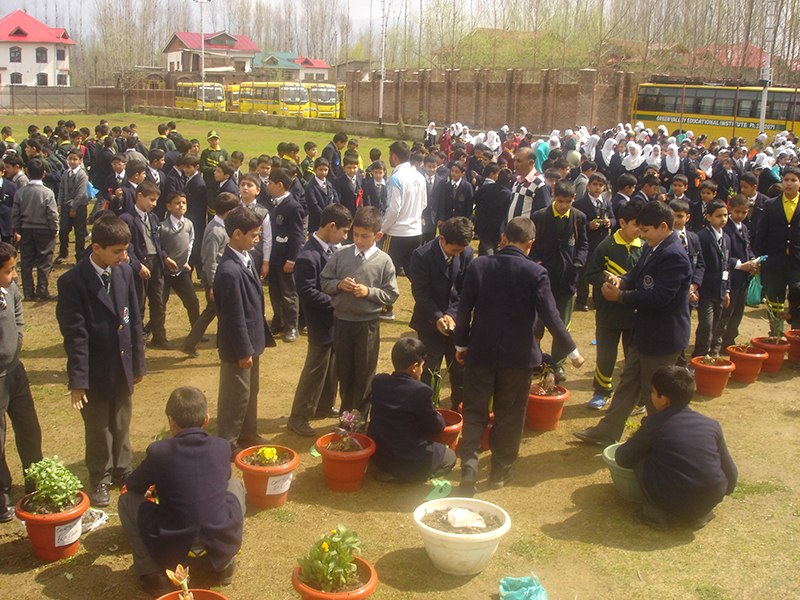 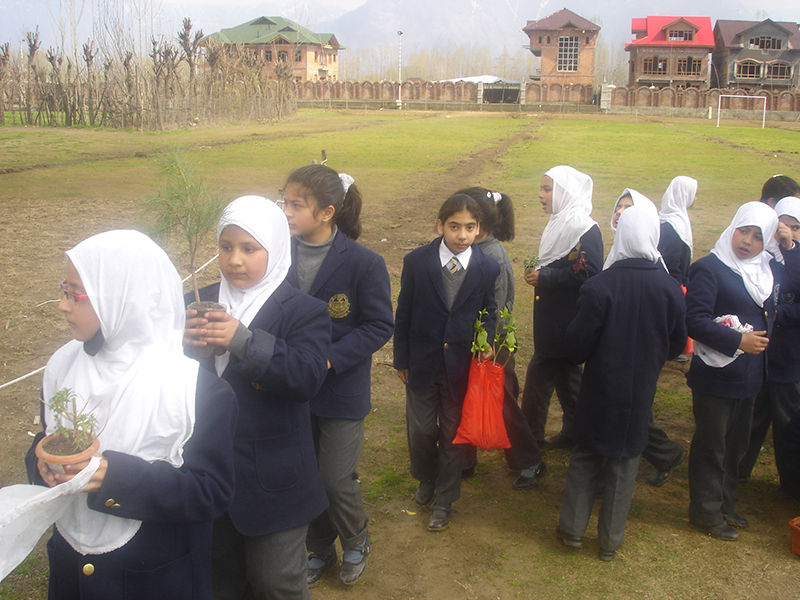 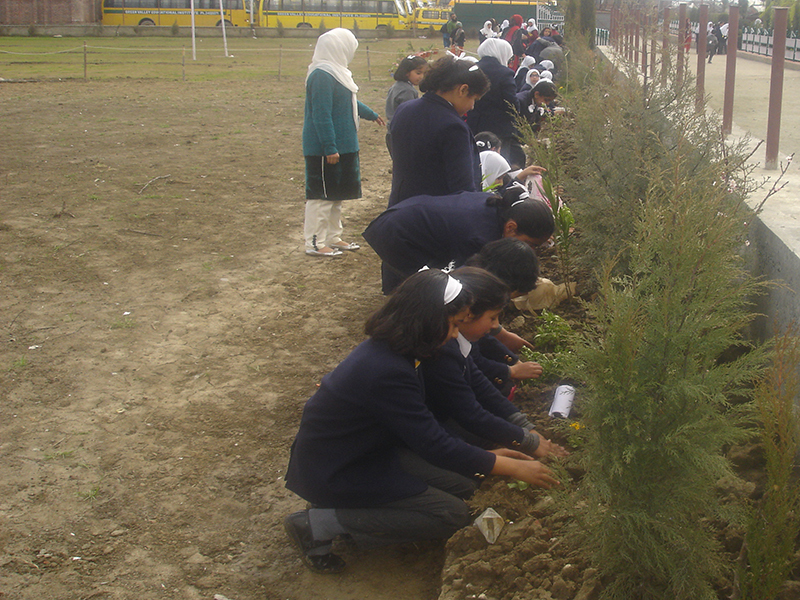 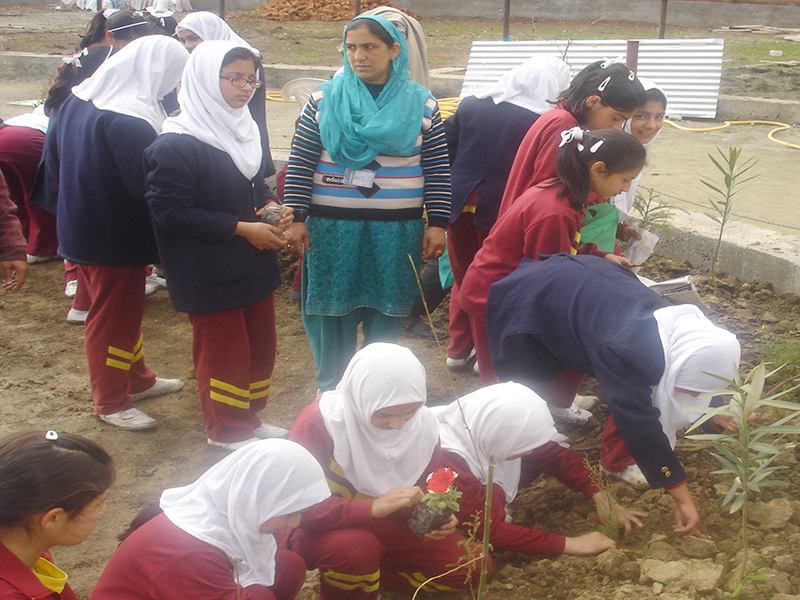 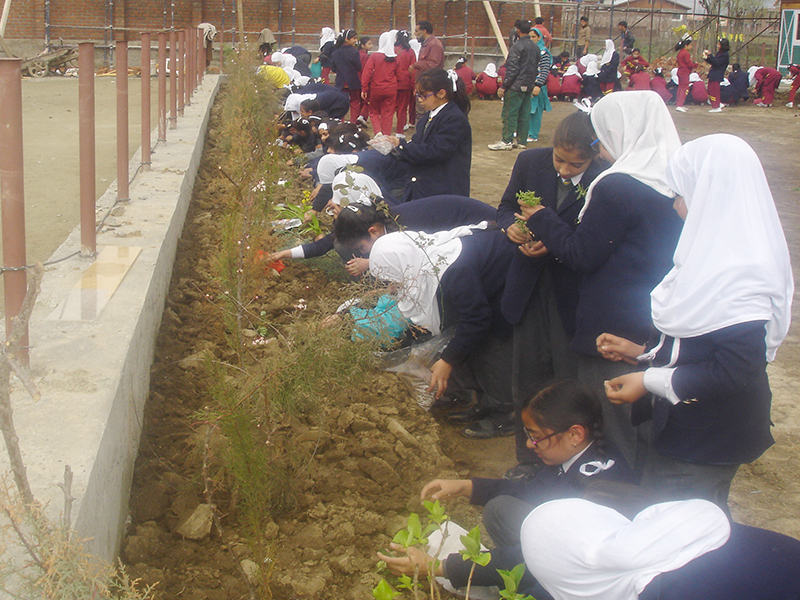 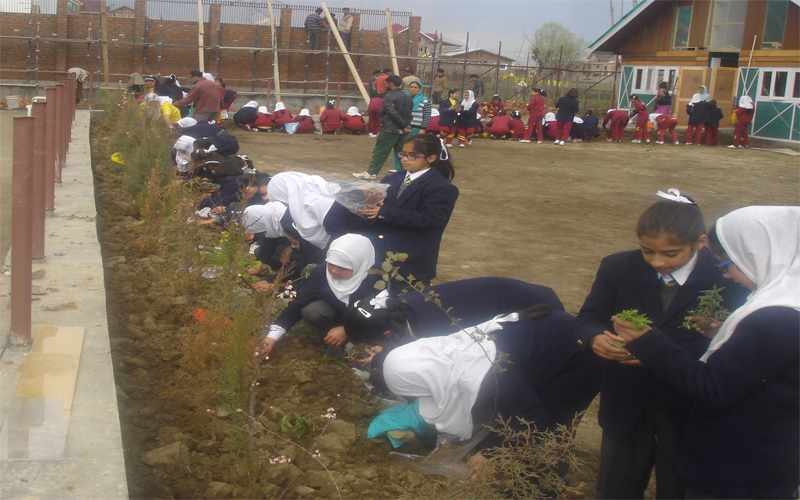 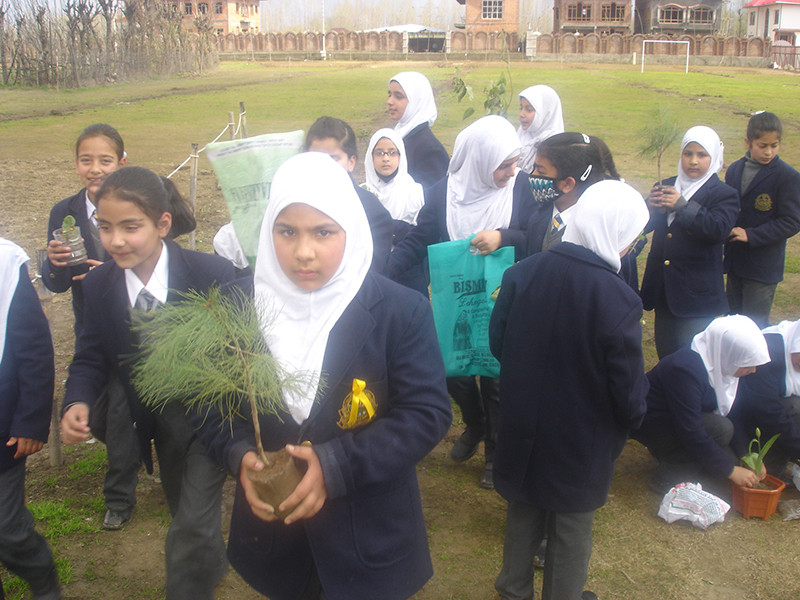 Mr. Lotus, later, joined a plantation drive along with the Green Valley Chairman, Mr. M. Y. Wani, teachers and a sizable number of eco-conscious students. 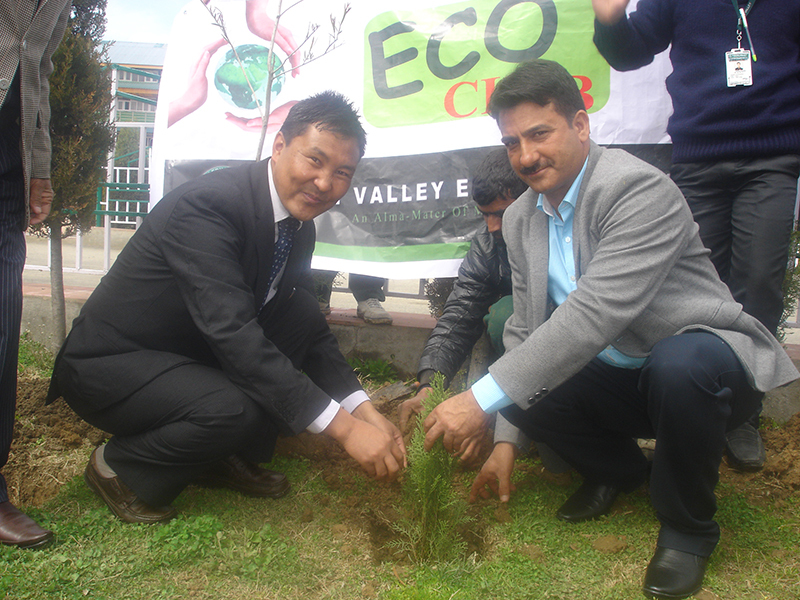 Hundreds of saplings were planted to make the Green Valley campus greener. 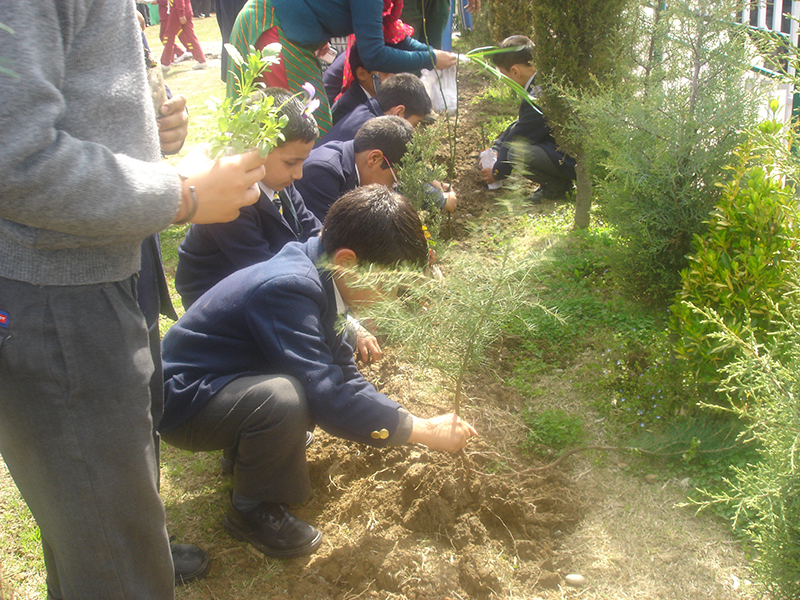 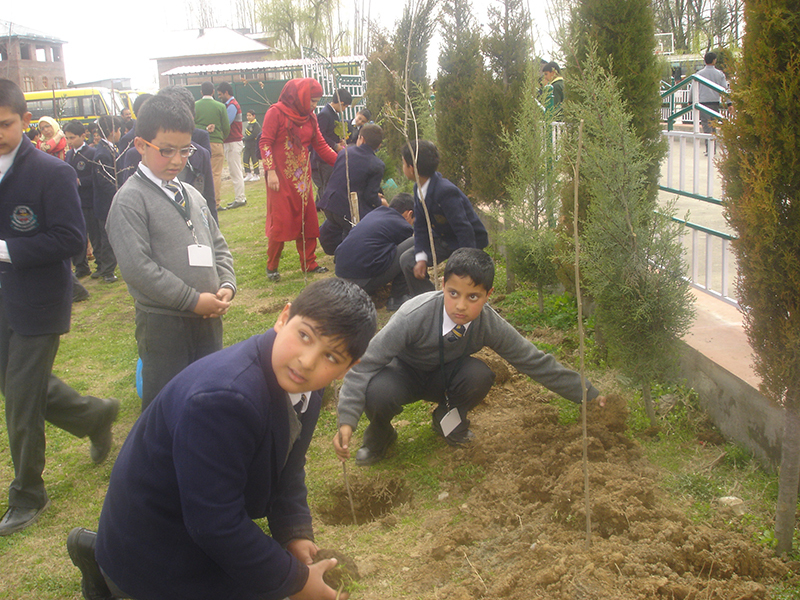 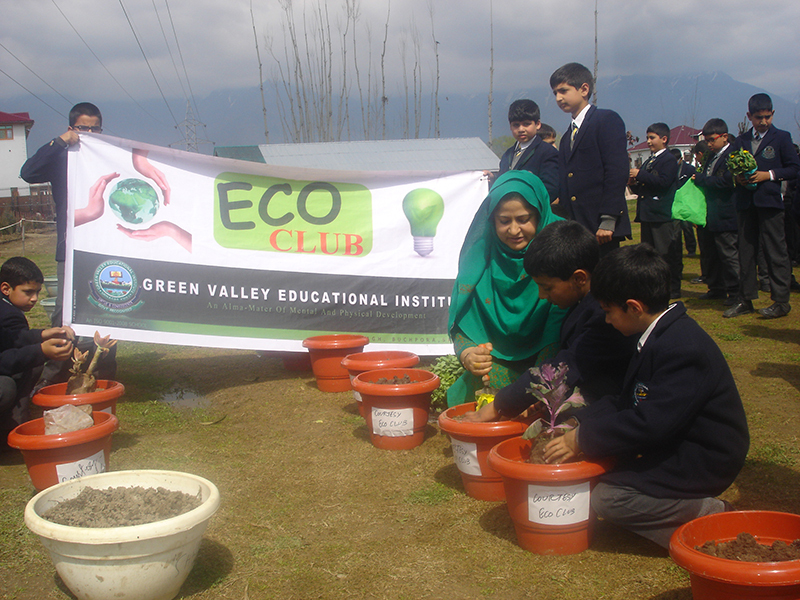 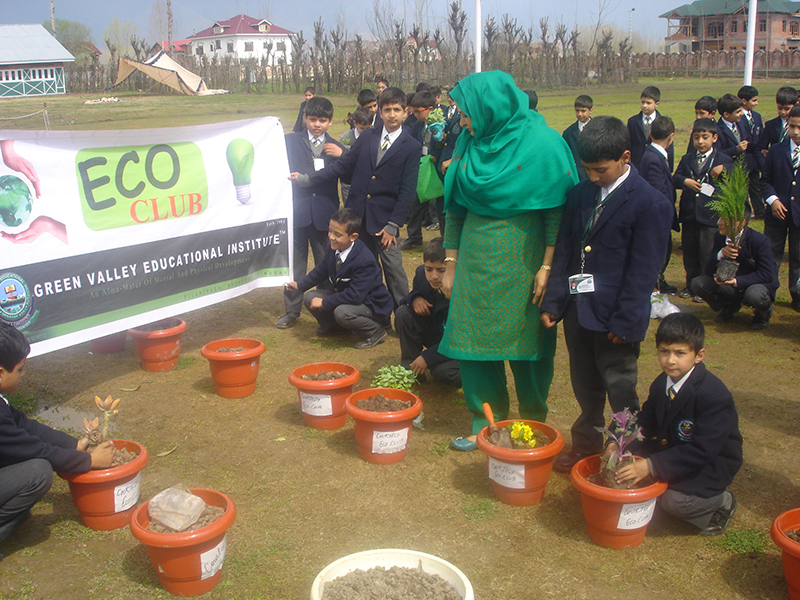 The whole programme was organized by the Eco-Club of the school in collaboration with the primary Deptt.